What to Expect on the Day of Your CBT Test? It’s the night before your CBT Test (Compulsory Basic Training) and you’re probably a little nervous. And that’s fine, because at first the idea of riding a motorcycle can feel a little daunting, and we’ve all been taught over the years to fear riding an engine on two wheels - but the honest truth is that there’s very few things in the world more liberating than slapping an ‘L’ plate onto your new bike or scooter, flipping down your helmet visor and heading off into the afternoon sun for a day out on your new pride and joy! So keep that romantic image in your head and take it with you on the morning of your CBT test. AND, here’s the best part… It is IMPOSSIBLE TO FAIL your CBT. Yep, that’s right - the CBT isn’t a test, it’s ‘training’, so the onus of the whole day is on your trainer to show you how to correctly ride and to ride safely. All you have to do is relax, open your mind and be willing to learn. That said, there are a few things you could do to prepare for the day of your CBT test. If you’re serious about motorcycle riding, you should already have applied for your provisional licence and you will have probably taken a cursory look at the Highway Code. 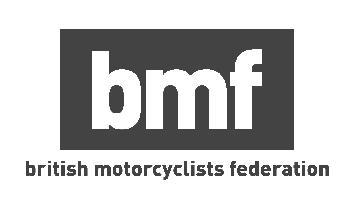 If you haven’t then make sure that you do so, because whilst you can’t fail the CBT course, the instructor can stop your training on the day if he feels that you’re basic knowledge isn’t good enough for you to ride safely on your own. Also - and this is something that people often forget - you might want to go out and spend an hour or so the evening before on a bicycle. Whilst a bit of speed from an engine helps with your balance enormously, a bit of a reminder of what it’s like to be on two wheels can never go amiss. Don’t worry if you’re not familiar with gears or the levers on a motorcycle too much, your instructor will show you how everything works during the first few hours of the day - but if you want to brush up a little on your knowledge, or even if you’ve no idea how the gears of a motorcycle work, there are hundreds of videos on YouTube that will remove the mystique (and your worry). Be warned though… A LOT of the videos contain old men with American accents mansplaining everything in excruciating detail, so try and watch a few until you find one you’re comfortable with. As far as equipment goes, check with your training school as to what precisely they will provide on the day; most will have helmets, jackets and gloves for you to wear, which means you’ll just need to concentrate on bringing yourself and some sensible clothing and footwear. Check out our article on the best motorcycle denim to wear. In fact, whilst you can get away with wearing heavy denim for your training, we’d recommend NOT wearing trainers or thin shoes. 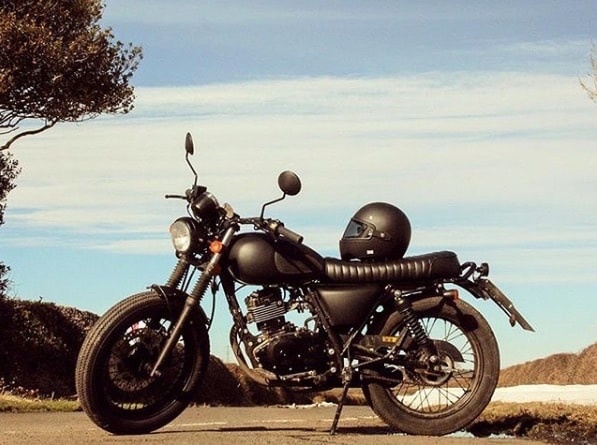 The motorcycle footwear industry is worth millions and if you go on to ride on a regular basis we absolutely recommend that you invest in a solid pair of boots that are designed for riding, but for your CBT anything that covers the ankles and are fairly robust will do. We don’t want to sound too much like on of your grandparents’ but it really is sensible to check the weather report for the day that you’re due to train and prepare for that accordingly - if you’ve got a baggy rain jacket, that can be worn over your school-loaned jacket and it’ll make riding in the rain a lot less stressful. And if it’s going to be a sunny day, wear layers of clothing that you can remove if it gets too hot on the bike - there’s nothing worse than sweating all day into a borrowed jacket that you’re going to end up handing back at the end of the day. On-site training (expect an instructor to talk to you about the basics of being on a road, where to place yourself on the road and what to expect from other road users). On-site riding (this will be wear you get used to balancing, using the throttle to control your speed and - if needed - changing gears). Usually these first three elements happen in the morning of the course. You’ll probably then break for lunch of some description… So bring some money as well, just in case there’s a decent sandwich shop nearby! On-road riding: At the VERY LEAST you’ll get TWO HOURS of on-road riding. This is compulsory, but you should expect more if you and the rest of the members of your training for the day have learned well during the morning. And that’s actually all there is to it.